If you are tired of dodging potholes, unable to locate a properly marked parking space, or are in need of a fresh look to your existing pavement, our experienced pavement maintenance staff will be happy to discuss your situation. Even the best asphalt pavements are subject to deterioration due to water and sunlight damage after a period of time. Water intrusion is said to be the leading cause of pavement failure, which eventually creates cracks and ultimately potholes. Properly sealing those cracks will greatly reduce water into the sub-base and virtually eliminate further damage to the asphalt. At King Asphalt, we use a rubberized crack filling material. The crack filler is placed into the broken pavement to prevent water getting through the surface, thereby eliminating the chance of an eventual pot hole your paved surface. Seal coating asphalt is very similar to painting wood. Seal coating provides a barrier between pavement and the elements, which lends a fresh, eye-pleasing look to your property while it is protecting your investment. 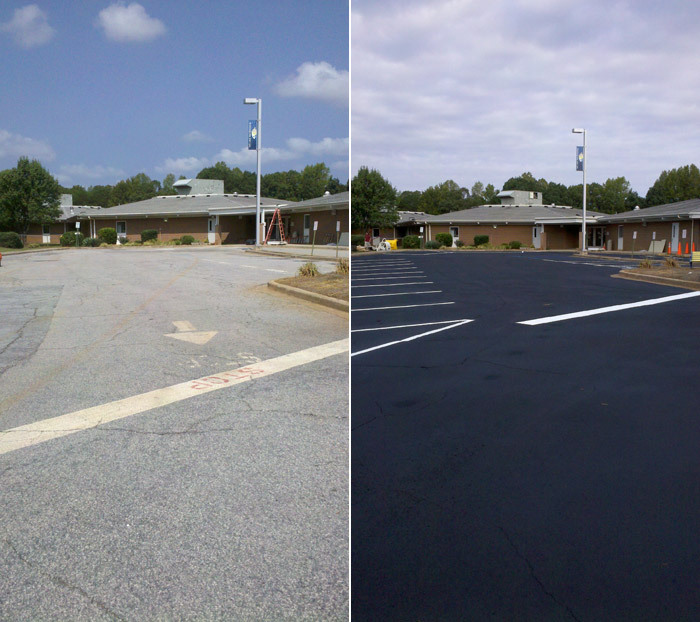 In order to maximize your fresh seal coat, our Pavement Maintenance Division also offers re-striping of your property. 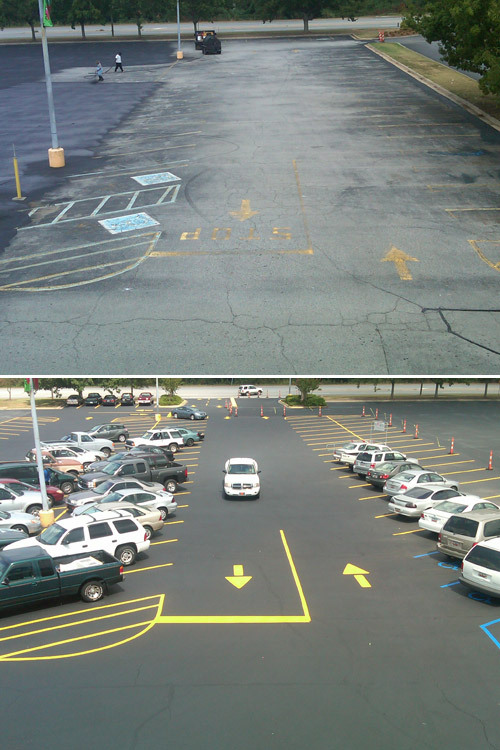 This is the perfect time to create a new layout to more efficiently utilize space and to upgrade ADA approved parking spaces.